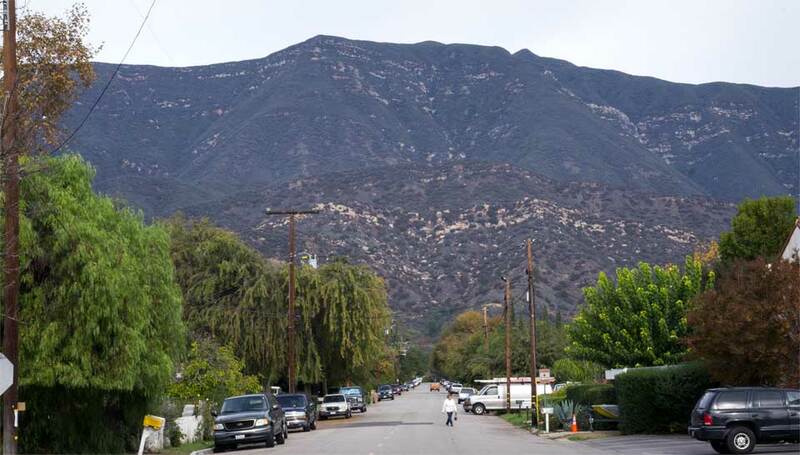 The Ojai Valley Land Conservancy purchased 195 acres near downtown Ojai and the Valley View Preserve was born. This open space is accessible to the public and getting there is easy. Park at the Pratt Trailhead (See Map) and walk up to Shelf Rd., hike up Shelf Road and you’ll see a large kiosk where the Fox Canyon Trail begins. If you want a leg burning workout, walk east on Shelf to Luci’s Trail. Look for the rail fence, hike past the mini kiosk and up the switchbacks for some great views. The Fox Canyon Trailhead’s kiosk has maps and information about the preserve’s ecosystem. The Valley View Preserve is permanently protected. The land conservancy and local community worked together to make sure this open space stays undeveloped for generations to come. Two historic trails were rebuilt and a new one was added. The Fox Canyon Trail travels 1.03 miles up an 800-foot climb, connecting to Foothill Trail and U.S. Forest Service trails. 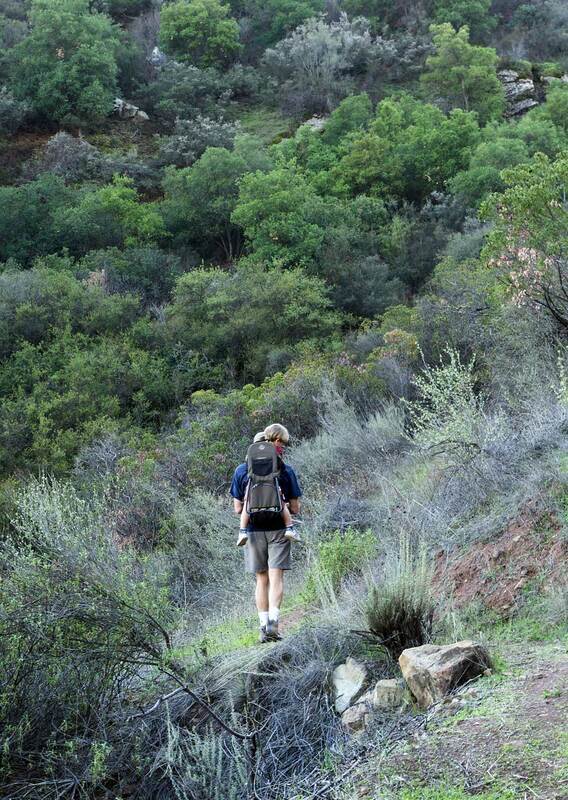 Take a hike on Foothill and see how beautiful the Valley View Preserve really is. You can loop Fox Canyon, Foothill and Luci’s for a terrific hike. Located east of Fox Canyon, Luci’s 0.75-mile trail is short but steep. There are plenty of switchbacks and rock steps to climb. Your heart and lungs are going to get a good workout. All of the trails on Valley View were built by volunteers who love to work and play in the outdoors. If you would like to become a volunteer please contact The Land Conservancy for details. The reclamation of these trails created dozens of miles of new hiking routes/loops. Location: Located immediately north of the Shelf Road Trail. 1) From the north point of North Signal Street walk 0.29 miles on Shelf Road to the Fox Canyon Trailhead. 2) From the Shelf Road Trailhead on Gridley Road, walk 1.10 miles to Wilson Point Trailhead, 1.37 to Luci’s Trailhead, or 1.15 to Fox Canyon Trailhead. Preserve Policies: Please consider parking at the Pratt Trailhead and walking in on Signal Street to Shelf Road to access the Fox Canyon Trailhead.